Among the most aromatic of flowers, Lilies have a sweet, fresh scent. Combine that with their elegant petals and they are sure to lift spirits. They’re known for having a very strong scent, but while it’s potent, it’s also appealing, like in Teleflora’s Lily Sunshine arrangement. This combination of yellow asiatic lilies, salal, and seed eucalyptus makes for a cheerful arrangement to leave you feeling energized and refreshed. Lavender flowers may have small blossoms, but their scent is quite powerful. Cultivated lavender is known for its distinctive purple color and has a scent perfect for relieving stress and anxiety. Lavender is so versatile that it’s made into oil that is used to relieve headaches and calm itchy skin. It’s also included in soaps and cosmetics because of its anti-inflammatory qualities. Bring home a bouquet of lavender and feel your stress melt away, and dry it later to save for years to come. Your body and your mood will thank you. Perfumes made of this flower are popular for a reason; roses smell heavenly. Fresh roses actually have a much lighter scent than perfumes would have you believe and are excellent calming flowers. Consider a rose bouquet if you are stressed, like Teleflora’s Lavender Splendor Bouquet; lavender colored roses paired with fresh lemon leaf (another calming scent) and displayed in a blown-glass vase can help you unwind after even the most stressful day. While the most common orchid type, phalaenopsis, does not have a scent, many different species do. Angranthes grandiflora has a sweet fragrance similar to jasmine, and maxillaria tenuifolia, which is also known as the coconut orchid, has a scent very similar to roasted coconut. Whatever variety you choose, these exotic flowers are soothing to the senses with their elegant petals and vibrant colors. These are just a few suggestions, but any flower has the potential to leave you feeling your best depending on what you are looking for. 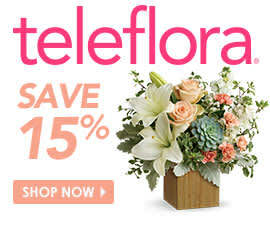 Visit local parks for some good ideas, and check out our colorful and aromatic floral arrangements here at Teleflora.